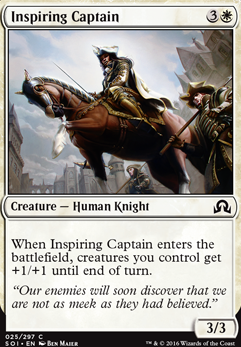 When Inspiring Captain enters the battlefield, creatures you control get +1/+1 until end of turn. With your limited card pool, I would suggest sticking to mono white weenies. This means cutting your big creatures (I would say anything over 4 cmc), and just sticking with the small creatures that are low to the ground. This strategy utilizes a "go wide" approach where you simply spit out too many creatures for your opponent to block. Things with flying are also very good with this strategy as once your opponent has creatures, they still might have difficulty blocking the ones with flying. The artifacts can also go. Artifacts generally cost a lot of tempo to both play and then equip. It is usually better to just play another creature. 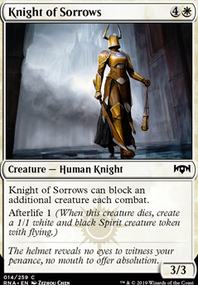 I would also consider adding the following cards from your collection: Bygone Bishop, Fiend Hunter, Bonds of Faith (acts as a pump if you need it, or pseudo-removal if you need it), Doomed Traveler, Steadfast Guard, Inspiring Captain, Steadfast Cathar, Kor Scythemaster, Kor Castigator, Mardu Hordechief, Fiend Binder, Elder Cathar, Dauntless Cathar, Cliffside Lookout, Nearheath Chaplain, Courageous Outrider, Sanctifier of Souls, Retreat to Emeria, Chapel Geist, Kor Bladewhirl. Serra Angel can be a good top end finisher. Most things with flying, produce tokens, and/or pump all creatures are good additions to a weenie deck. I would up your lands count to 22, and I would try to have about seven 1-drops, about fifteen 2-drops, about twelve 3 drops, about five 4/5-drops. 22 lands will mean that you will hit your third land drop on turn 3 90% of the time when you are on the draw, and 85% of the time on the play. 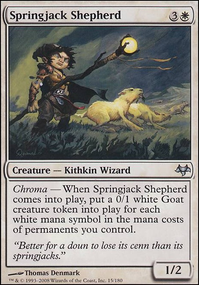 I would aim to have about 28-30 creatures creatures, and about 8-10 instants/sorceries/enchantments. This gets you to exactly 60 cards -- which is important. I could get into a lengthy mathematical explanation into why 60 cards is always the best -- but it essentially boils down to increasing the chances of drawing your best cards when you need them. It increases the consistency of the deck. Allied ReinforcementsCaptain's ClawsOath of GideonDesolation Twin would be pretty sick as a finisher if you make it that long, probably not a good idea, but thought I'd mention if your local meta is slow.Ethereal Guidance or an instant equivalent could be sideboard-able in my opinionI also like me some one or two of's Unruly Mob and Inspiring Captain for the same reason, but don't let ANY creatures distract you from token generation, that is number one, any synergies that don't generate tokens are just icing on the cake. 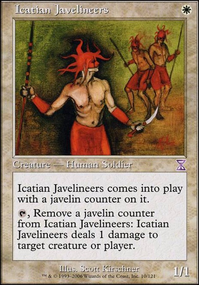 Focus on tokens FIRST.If you find you have great early game life gain Felidar Sovereign is an option as a one or two of.Call of the Bloodline Shamble Back From Under the Floorboards and Gisa's Bidding are all things in standard. I'm not saying any of these will be the answer to your problems, but options are always a good thing, and you can mess around to see what works for you! Can't wait to see what you do! Depending on how you want to approach the deck and how much you want to polish a lot can be done to improve your deck. The biggest thing regardless of how competitive you want to take it is taking out cards that don't do anything but look good because they are efficient in standard or something. 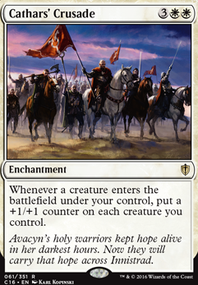 For instanceFaithbearer Paladin being played on turn 5 when everyone else is setting up a combo or cheating much bigger creatures into play looks pretty meek compared to them. Find cards that immediately seem to create an effect or such a strong effect it's worth it. Avacyn, Angel of Hope, Elesh Norn, Grand Cenobite, Containment Priest, Recruiter of the Guard, Akroma, Angel of Wrath, Gisela, the Broken Blade, Mirari's Wake, Sylvan Library, Earthcraft, Linvala, Keeper of Silence, Knight of the Reliquary, Aura Shards, Hero of Bladehold. Bruna, the Fading Light, , Mentor of the Meek, Silverblade Paladin, Somberwald Sage, Thalia's Lancers, Swords to Plowshares, Day of Judgment, Werebear, Mikaeus, the Lunarch, Mother of Runes, Riders of Gavony, Honor of the Pure, Intangible VirtueFiend Hunter, Goldnight Commander, , Knight of the White Orchid, Aegis of the Gods, Archetype of Courage, Deranged Outcast, Return to Dust, Angel of Jubilation, Tireless Tracker, Bastion Protector, Sun Titan. Anyways my gawd what a long message hopefully this helps later! Honestly, I made this set back before Eldritch Moon came out, so that's literally the only reason why Heron's Grace Champion Isn't in there! However, I still do prefer Intrepid Provisioner to it because the +2/+2 really helps the ramp feel this deck kind of adopts. One thing about this deck is I think it has great synergetic recovery. So long as I am not COMPLETELY board wiped I've always been able to get a firm footing again after I make one or two more "necessary" trades. Why I prefer Intrepid Provisioner is his ability can so easily force aggression with little repercussions. Very few times has his enter the battlefield ability not been key to better tempo-ing than my opponent, if that makes any sense. For example I can pump a turn one Thraben Inspector and have it kill a Thalia, Heretic Cathar or have it trade with a Vildin-Pack Alpha Flip and be one clue token all the better for it! However, I did mention Inspiring Captain was a filler and I think you make a great point, that with the release of Eldritch Moon, I would definitely trade those two copies for the Flash Aspect. 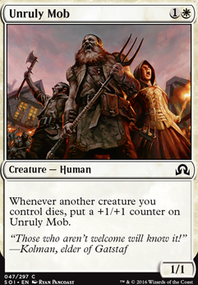 I might even switch a copy of Unruly Mob just because of how awesome that card is, but that gets into messing with the mana curve, soooo it's up to you! Haunted Cloak is in there for when Odric is out and he can give vigilance, trample, and haste to everyone. Take out 2 Inspiring Captain for Thalia's Lieutenant, and Dauntless Cathar and Obsessive Skinner for 2 Odric, Lunarch Marshal. You think Sigarda, Heron's Grace and Kytheon, Hero of Akros Flip are good at just 1 a piece? Your going to want about 22-24 lands especially with expensive guys like Captain of the Watch, and Elspeth, Sun's Champion. I'd take out Chaplain's Blessing it really wont help you as much as you think. You should also remove Foot Soldiers, Heavy Infantry, Inspiring Captain, and Veteran Armorer. Gideon's Reproach is a decent card but you shouldn't need it. Your only removal should be Journey to Nowhere. Your on the offensive to much to need Gideon's Reproach. You should add Precinct Captain, Preeminent Captain, and Raise the Alarm. First things first I would say you need to seriously think about what cards are the best for your strategy in here and move them up to 4-ofs or at least 3-ofs, your deck will just bee to inconsistent with this many 2-ofs. In my opinion Unruly Mob, Joraga Auxiliary and Pious Evangel Flip. I also don't really think Deathcap Cultivator or Hermit of the Natterknolls Flip really fit your strategy. I think 2 more Thalia's Lieutenant are an easy replacement for the 2 Inspiring Captain as well. Looking at this, I like the concepts you have here, as it already follow's a taxes deck built around Archangel of Tithes and Vryn Wingmare. I notice a lot of suggestions of cards that are rotating this weekend, so what I'm suggesting following is in fashion of keeping it Standard Legal.